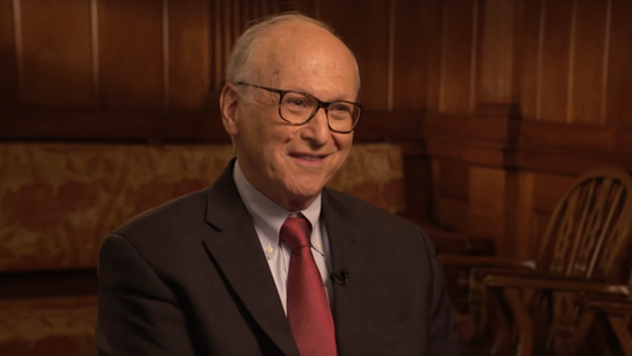 In an exclusive interview with Consuelo Mack WealthTrack, Charlie Dreifus talks about why value has been lagging growth. Courtesy of Consuelo Mack WealthTrack. All Rights Reserved. On August 3, 2018 Charlie Dreifus was a guest on Consuelo Mack WealthTrack. In the interview, Charlie discussed a wide range of topics, including why value has been badly lagging growth. He went on to detail what he calls “absolute value,” which is when earnings are substantially higher than the interest costs for money borrowed to buy a company. He and Consuelo also covered Charlie’s definition of value stocks, which he says is buying a company at a discount and having confidence in the stability and sustainability of its earnings. When discussing why value has been lagging growth, he cited the Financial Crisis and absence of growth in the economy. Consuelo also asked if there has been a period similar to this, when the intrinsic value of a company doesn’t seem to matter, in Charlie’s 50 years of managing money, and he said the most recent example was the tech bubble. As for advice he would offer, he recommends de-risking during this stage of the market. Charlie Dreifus joined Royce in 1998 and previously was a General Partner and Managing Director and a Limited Managing Director of Lazard Freres & Co., LLC. He was also the Portfolio Manager of Lazard Special Equity Portfolio, formerly Lazard Special Equity Fund and Special Equity separate accounts. He was also formerly employed by Oppenheimer & Co. as a Limited Partner and as the manager of Quest For Value Fund (from May 1980 to November 1982) and by Oppenheimer Capital as an Executive Vice President. He holds a bachelor's degree from the City College of New York/Baruch School and a Masters of Business Administration from Baruch College. He is the lead portfolio manager for Royce Special Equity Fund and Royce Special Equity Mutual-Cap Fund. The thoughts and opinions expressed in the video are solely those of the persons speaking as of August 3, 2018 and may differ from those of other Royce investment professionals, or the firm as a whole. There can be no assurance with regard to future market movements. The Russell 2000 Index is an unmanaged, capitalization-weighted index of domestic small-cap stocks. It measures the performance of the 2,000 smallest publicly traded U.S. companies in the Russell 3000 Index. The Russell 2000 Value and Growth indexes consist of the respective value and growth stocks within the Russell 2000 as determined by Russell Investments. Index returns include net reinvested dividends and/or interest income. The performance of an index does not represent exactly any particular investment, as you cannot invest directly in an index. Russell Investment Group is the source and owner of the trademarks, service marks and copyrights related to the Russell Indexes. Russell® is a trademark of Russell Investment Group. Frank Russell Company is the source and owner of the Russell Index data contained or reflected in this material and all trademarks and copyrights related thereto. This is a presentation of Royce. The presentation may contain confidential information and unauthorized use, disclosure, copying, dissemination or redistribution is strictly prohibited. Frank Russell Company is not responsible for the formatting or configuration of this material or for any inaccuracy in Royce’s presentation thereof. As of 6/30/18, Cooper Tire was 2.8%, and Winnebago Industries was 1.5% of the net assets of Royce Special Equity Fund. The company examples are for illustrative purposes only. They do not constitute a recommendation to buy or sell any stock. There can be no assurance that the securities mentioned in this piece will be included in any Fund’s portfolio in the future.